"I like the idea that a team of experts is watching over our water system for us"
PITTSBURGH--(BUSINESS WIRE)--Evoqua Water Technologies (NYSE: AQUA), an industry leader in mission critical water treatment solutions, today announced the national launch of its optimized Water One® service platform, which enables customers to outsource their water treatment systems and focus on their core business, while Evoqua manages the operation and maintenance of customers’ water treatment systems. Water One is an enhanced service model that uniquely combines Evoqua’s water expertise, proactive service and proven technology with data intelligence to continuously improve customers’ water operation management. Benefits of a Water One solution include: system optimization, predictive and proactive service, and simplified, pay-by-use billing and pricing. With Water One services, Evoqua determines the right technology and economic solution to meet customers’ on-site water requirements and from there, designs, builds, installs and maintains the systems. Additionally, Water One service utilizes real-time data analytics and remote monitoring capabilities to enhance Evoqua’s own predictive maintenance economics by optimizing the utilization, routes and scheduling of its service personnel. 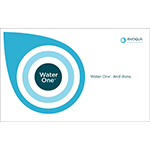 Evoqua has successfully implemented the Water One platform at hundreds of locations. The service is now available nationwide for customers in the industrial and municipal markets. 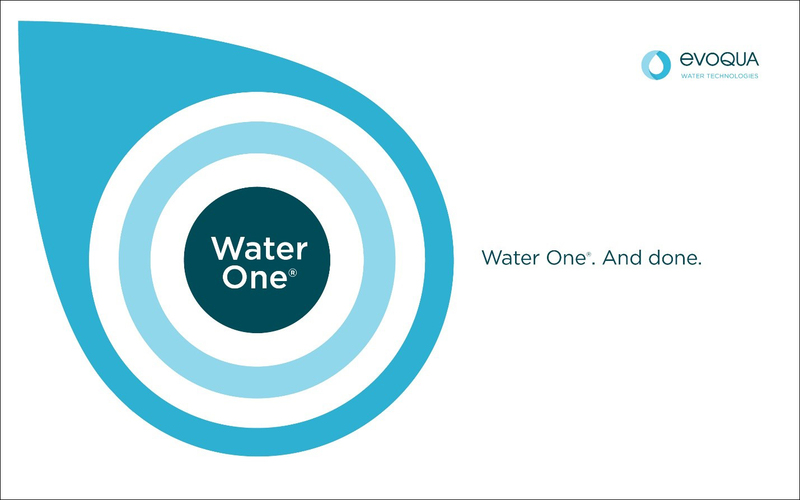 To learn more about Water One® services, visit us here. Evoqua Water Technologies is a leading provider of mission critical water treatment solutions, offering services, systems and technologies to support its customers’ full water lifecycle needs. Evoqua Water Technologies has worked to protect water, the environment and its employees for more than 100 years, earning a reputation for quality, safety and reliability around the world. Headquartered in Pittsburgh, Pennsylvania, Evoqua operates 160 locations in eight countries and, with over 200,000 installations and 87 service branches, is a leader in North American industrial, recreational, commercial and municipal water treatment, serving more than 38,000 customers worldwide.